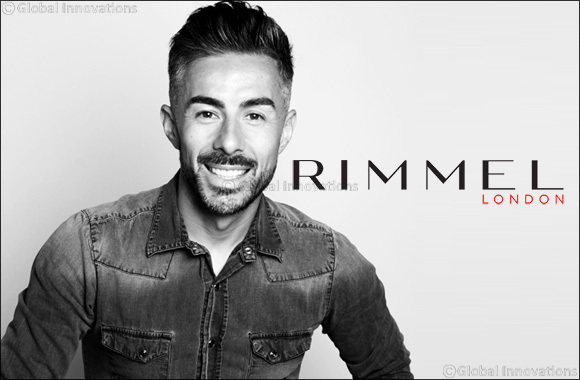 Dubai, UAE, September 10, 2017: Rimmel London is excited to announce James Molloy as the newly appointed Global Makeup Ambassador. A rising star known for his incredible creativity and skills in creating unique, coveted looks for high fashion runway, editorial and red carpet. James has been recognised by the brand as a powerful voice to communicate Rimmel’s edgy and evolving beauty vision to both the consumer and influencer across all social and media platforms. This new partnership is part of Rimmel’s move to develop and nurture up-and-coming, inspirational talent that connects with our consumers. Adored and respected by industry insiders, photographers and celebrities, James has worked with Emma Watson, Kanye West and Dita Von Teese, to name a few. His editorial work has appeared in some of the world’s leading high fashion and creative titles, including: Vogue, Harper's Bazaar, L’Officiel, Lula, i-D and 10 Magazine. James was previously UK Senior Artist and Director of Makeup Artistry (Asia Pacific) at MAC. This experience allowed him to be at the heart of key shows for designers like Stella McCartney, Moschino Resort and Proenza Schouler. James background is so rich that he had also established artistry training programs on behalf of the brand, while forecasting makeup trends and maintaining a new product developmental role. James was born and raised in Northern England where he studied art, before moving into visual merchandising. Growing up influenced by the 90s superstars and vibrant English club scene, ignited his passion for makeup and fashion. In his new role, James will be pushing beauty boundaries via the creation of innovative, trend lead looks which speak to the consumer and influencer. James will bring his unique artistry expertise and points of view to the brand, representing Rimmel globally to further the brand vision as well as influencing on product and shade development. Interviews, shoots and digital tutorials created by James for new launches will sit across all brand platforms.